Riflemen are a monogamous species, with long-term pair-bonds—a perfect illustration for a one of a kind wedding card for a colleague. 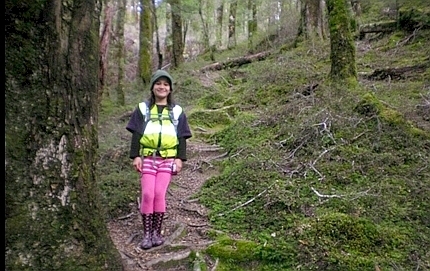 10 year old Jamie Hamilton is a Year 6 student at Glenorchy School, she often goes out trapping with her dad, a DOC trapping volunteer. 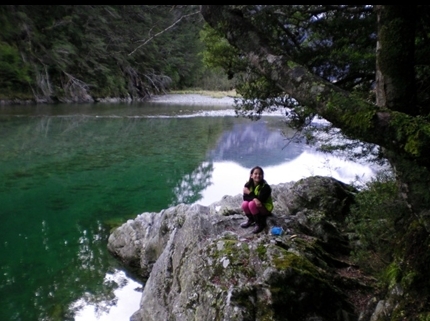 She writes about a recent trip to Lake Sylvan. At different times of the year my dad and I go trapping at Lake Sylvan. 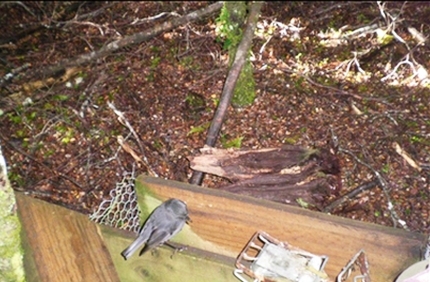 The reason we go is so that DOC can monitor how many stoats and rats there are and to save our native birds. 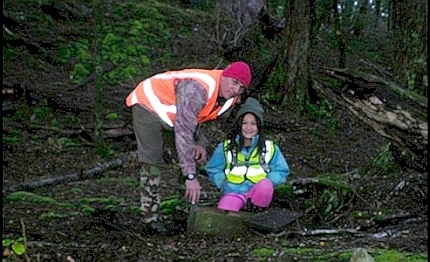 My dad and I do 34 traps and if you walk a little further past this trap line you will end up at the Rockburn Hut. At the start of the walk there is a little sign and it shows all the markers that are shown on the track. The two that that we look for are the orange and blue markers, the orange are track markers and the blue ones show where the traps are. Sometimes dad and I have to leave really early so we can get back at a reasonable time. Once me and dad left at 8:00 am and got back at 5:30 pm. On that trip we got four stoats and one rat. One of the stoats was a baby and one was a white one, there wasn’t much left of them though. The white stoat is a normal stoat but its coat colour just changes white in the winter. On the track we often see robins and rifleman and hear the beautiful song that the birds make. I love checking the trap lines for DOC, I know I am helping to protect our native birds and I get to spend a day with my dad doing something we both enjoy.